That finally happened. I’ve completely got rid of Windows on my computers. 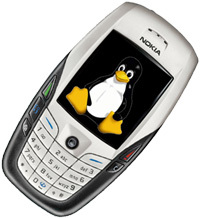 The last bastion of Windows was my Nokia work laptop, and now there is Nokia corporate version of Linux installed. I would’ve preferred Ubuntu, but that was not an option. Migration was relatively painless and that’s yet another proof that Linux can be successfully used on laptops in corporate environments. As a disclaimer I should say that moving to Linux was not a sentimental decision or pledging support for Linux community, but a pure necessity of my present job. Using shell scripts and tools like sort, awk, grep, python, perl and running experiments with web 2.0 stuff locally (even without a network connection) is just so much easier. The only thing I really miss from Windows is Lifeblog. I really hope that soon there’ll be a way to upload complete Lifeblog database to an internet server and access it via web interface. Let’s see what Ovi brings us when it’s ready. What’s that actually? Some kind of “enterprise” RedHat? Previous Previous post: Symbian OS Platform Security – good or evil?